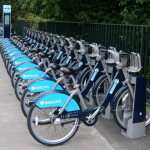 Boris bikes are coming to Brighton and Hove after a funding agency agreed to put £1.2 million towards the start-up costs of the scheme. More than 400 bikes will be available for hire from 50 docking stations in an area stretching from Hove Station to Brighton Marina and up to the university campuses in Falmer. The search for an operator will start straight away amid hopes that the first bikes will be hired in July next year. The scheme is expected to be run by a social enterprise and to create six full-time jobs, with the training and apprenticeships on offer. A key condition of the grant – from the Coast to Capital Local Enterprise Partnership (LEP) – is that the running costs will not be subsidised from the public purse. Brighton and Hove City Council is budgeting about £60,000 towards the setting up of the scheme. About £230,000 is expected to come from other local organisations including the Brighton and Hove Clinical Commissioning Group (CCG). The council said: “Around 46 per cent of households in the scheme area do not own a car. 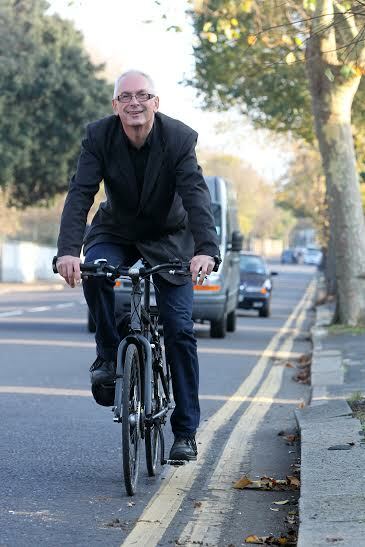 Yet research has shown a main reason people do not cycle is that they do not own a bike – about half of households do not have one. “It is intended the scheme will help link existing or planned major employment sites and housing such as Circus Street, the i360, the proposed Brighton Waterfront development, Valley Gardens and Preston Barracks – and City College’s main campus. The scheme’s supporters include Brighton University, Sussex University, the Velo Café at The Level, Brighton and Hove Buses, Southern Railway, City Car Club, Brighton and Sussex University Hospitals NHS Trust, Spire Healthcare, the Regency GP surgery, BioRegional, Kindle Research, Brilliant Noise, Small Batch, Cathedral Group and the Brighton and Hove Economic Partnership. Councillor Davey added: “The idea has the support of the local business community who recognise the economic benefits it could bring and our partners in health who recognise the health benefits of more active travel. 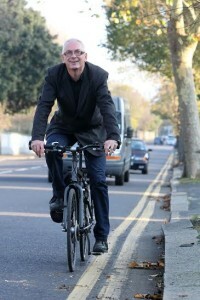 Dr Cottam added: “There is also strong evidence that people who use ‘active travel’ are less stressed and less likely to take time off work but exercise is of value for people of all ages. 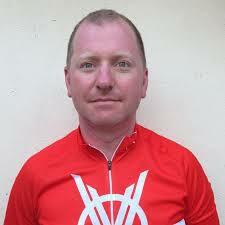 Nigel Lambe, the chairman of Small Batch Coffee, the Velo Café and Bold Decisions Consulting, said: “I am delighted that the local enterprise partnership has agreed to invest in a bike hire scheme for Brighton and Hove. “We have been working on the business case for the hire scheme for over a year and I have discussed the concept with many local businesses. It is clear that the scheme has proved very popular with the Brighton business community. Prices have not yet been decided but they are expected to include half hour for free, as in London and many similar schemes. And the cost of registering is also expected to be cheap enough to make it attractive for students. I’m a green voter, a supporter of sustainable transport and of the changes to the roads the greens have brought in over the past few years. But even I think it’s idealistic to have a bike rental scheme in Brighton, the town is nothing but enormous hills, however hard you push the sustainable angle you still can’t get past the fact that most people are too unfit to peddle up a hill, especially with the heavy, durable bikes that come with a bike scheme! Well how else are you gonna get these fatties to be fitter unless you give them chances to do exercise like this? Maybe when they see fitter people enjoying getting around more easily they’ll be encouraged to stop eating so much and get on their bikes instead. Well put it this way, I just completed two half marathons. And I’m too unfit to cycle up hills frequently! Really? I quite often go for a jog on the seafront or round Hove Park but that’s more like 5k than a marathon… and I can crawl up Elm Grove in low gear OK. Either you’d talking complete rubbish or I strongly suspect you could do the same. And 3 years ago Davey’s own study showed they wouldn’t work in the city as it is too hilly and people would ride them down hills and leave then at the bottom leaving docking stations empty and trucks having to keep moving bikes back up the hills (not very eco-sustainable!). I don’t see what the bloody problem is re: taking bikes back up to the top of hills on trucks. I always thought that excuse was farcical. Of course it’s no problem – it’s just money and the greens don’t worry about trifflng matters like that – as long as the cost of it is included in the plans as part of the up front design. However as the actual design has apparently not been completed yet, nor apparently the decision on where the docking stations will be. If, like the car clubs, my nearest docking station is a 45 minute walk away, why would I bother? It seems there a lot of ‘hopes’ in the design with theoretical ‘cost benefits’ and I’m glad that the ongoing cost of running these scheme will not fall on the council. I’d like to think it will work, but based upon the track record of the various schemes introduced via Ian Davey over the past 4 years I don’t put up much hope. As he’s off to pastures new on May 7, I wonder who will be held accountable if this does go ‘belly up’? Why do I always get nervous when the greens start talking about economics? It will all be okay – if they get a 6% increase in council tax every year to fund the needs of all the extra students coming to the city who don’t pay any. is just more evidence of there idealistic, conceptual, inexperienced, un common-sensible nature as a local governing party. Thank god they are odds on to be removed from power this year. it is the binmen whose bizarre idea of a “fair” wage is “one that is more than women”, which is clearly untellectually bankrupt, sexist and nasty. If they all think like that they should go apply for jobs presenting Top Gear instead, I hear they have some vacancies. You’re right on this one – the wages for bin men thing was a bit of a smoke screen, the council did nothing wrong there but were smeared. You know it’s not just a giant pot of cash they can pick and choose what to spend on right? Cash is allocated for specific sectors from dozens of funding sources. I’d support an increase in council tax for all. 10% if I had the option. It’s the thrive cursed Tories who have reduced the budgets for councils across the country. As for being idealistic – that’s not a bad thing. The other parties offer nothing but the same old thing. Vote green and at least you get people who try. Terrible idea: taxes should be based on ability to pay. The poll tax (community charge, council tax, rates – call it what you will) is iniquitous as it’s a mandatory flat charge with no relation to ability to pay. And yes, some of the poorest may get Council Tax Benefit – but sneeze at the wrong time in the Job Centre “Plus” and you get put on arbitrary sanctions and thus lose all benefits – at which point you have a choice of either being made homeless, or facing a custodial sentence for “refusing” to pay your council tax. Genius!